Reduces wrinkles, firms and lifts in just 5 days. Rated 5 out of 5 by Beauty girl from Excellent product!! I just happened to pick this up while looking for a serum. OMG! This cream-serum mix is beyond great. It’s so hydrating and has helped the bags under my eyes and my lines. I have to relate it to this since this is the only new product I added to my skin care routine. I just found out they are discontinuing this. Why? There’s so many great reviews on this. Why would they discontinue a phenomenol product like this? I’m so upset. I thought I finally found something that works! Rated 5 out of 5 by Pico from Red bottle is hard to tell if empty I have to use this every day with sunscreen. Great price point! I cannot tell when it's empty. The new one with serum sounds good too. Walmart doesn't carry Ultra lift in their NW stores. Too bad. Rated 3 out of 5 by Veins from Deep wrinkle was better I thought the deep wrinkle worked much better . Wish they didn’t discontinue it! Rated 5 out of 5 by stacimcdade93 from Love it! Got rid of my fine lines I used this product for two weeks straight and absolutely love it. I'm 34 and take pretty good care of my skin but I'd been noticing some fine lines appearing. 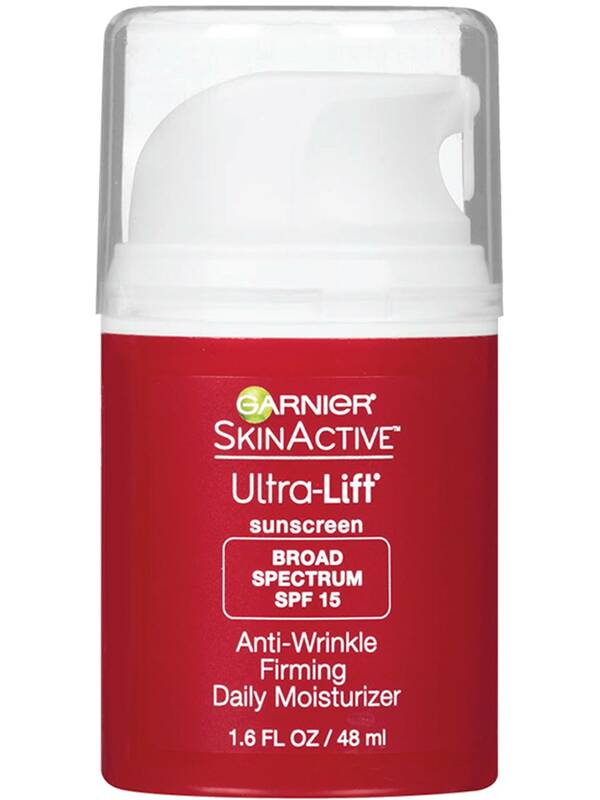 I'm so happy to say that the ganier ultra lift anti wrinkle firming moisturizer took care if them and then some. I will never go without this priduct again. My skin feels and looks so much healthier (I thought it looked good before but I was wrong) This product is great. Definately give it a try. Rated 3 out of 5 by slinka from Garnier Anti-Wrinkle Firming Moisturizer Alright, so the Garnier Ultra-Lift Anti-Wrinkle Firming Moisturizer- let's start with what this product claims to do/be: "This light, non-greasy daily moisturizer with vitamin E, Pro-Retinol (a form of Vitamin A) and Rice Peptides deeply hydrates skin. It fights wrinkles and improves elasticity as skin regains its youthful appearance." "Light, non-greasy"- I would agree with this. It did not feel overly greasy and heavy and was comfortable enough on my combo skin. "Hydrates skin"- yeah, I'll agree here too. "Fights wrinkles/improves elasticity"- well, it probably helps a bit, better than not putting anything on your skin at least. And sun protection is always beneficial to graceful aging of skin. So let's give it that- but it's no miracle worker. (But next to botox and a facelift, what is, really?) So, overall the product does what it should. Another plus is that it smells nice and I love the pump component. So if a all-in-one type of sunblock and skincare cream for a decent price is what your after, there you go. Now let me say my reasons for not giving this 5 stars, and a lot of this is going to come down to my personal needs and preferences. -I'm so, so fair. Red hair. That means I need more than an spf of 15. Now my makeup typically also has spf and I avoid the sun, but the problem that arises here is- -it causes the makeup on the more oily parts of my face (typical t-zone nonsense, even then I do not get super oily) to slide off after a while. (Was decent under makeup on my dry parts though) Also, if you are choosing to wear makeup over this, remember ANY sunblock needs to be reapplied at least every 2 hours, which you certainly can't do over foundation. I would use this more for bare-faced days if I were actually relying on it for protection. -I really didn't notice any change in the appearance of my face. I'm still in my 20s so its not like I have a ton of issues yet with aging, but my trouble spots pretty much still look the same. Like I said, its no miracle worker but I'm sure its beneficial to a certain extent. 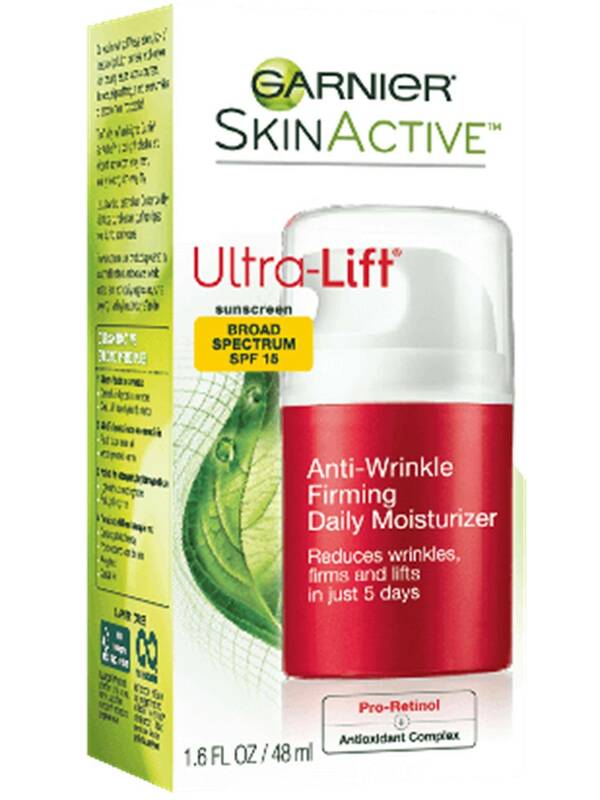 I do not feel the "ultra-lift" and "wrinkle-firming" in the name are all that accurate of descriptors. For me, it was just a so-so product, but I could see it working better for someone who has no t-zone oil issues or goes bare faced a lot and who doesn't need much spf. Maybe someone who needs an easy intro to skincare without much hassle. This could very well be a convenient item in one's skin care regimen if that sounds like you!